This retail setting incorporates industrial case goods with eclectic seating to create an interesting look. 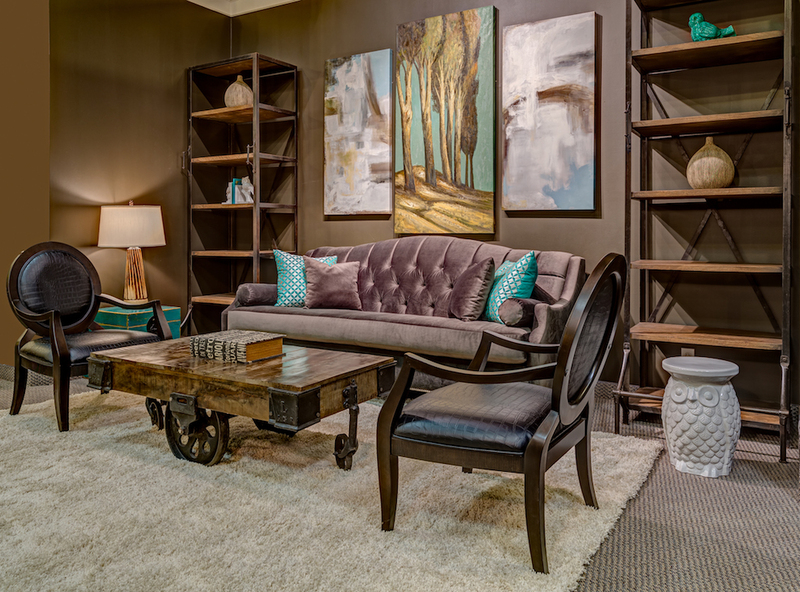 The moody walls, and dark furniture are contrasted with a bright cream area rug and light accessories and artwork. The pops of emerald and diverse textures of the wood, alligator embossed leather, luxurious velvet, and soft shag juxtopose contrast in an interesting way. The combination of all of these elements create a balanced and rich feeling industrial eclectic space. I love the combination of its elements. My kind of style!